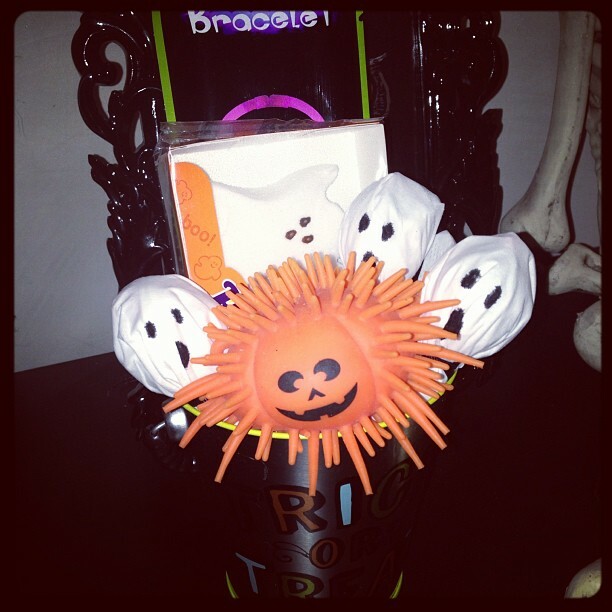 Boo’ing is our families favorite Halloween tradition. 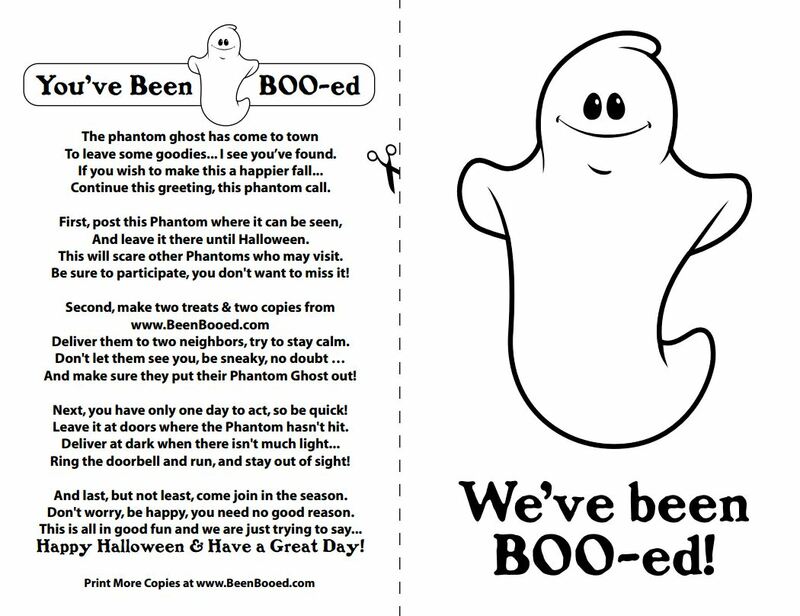 Boo’ing is all about doing something for someone else and making them feel special! You can make something or buy something a small or as big as you want. 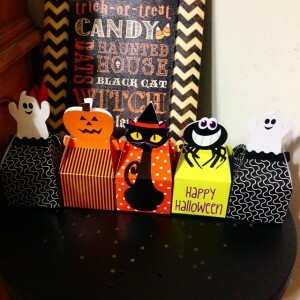 However, it needs to be Halloween themed. Which makes it even more fun! 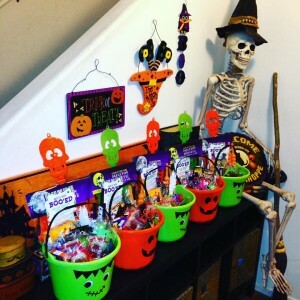 After you get together your Halloween goodies for either your neighbors or friends. 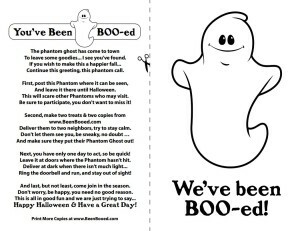 You will place a paper/sign explaining what Boo’ing is. Then you get to act like a spy… All stealth like drop your gift at their doorstop, ring the bell, and RUN!!! Try not to get caught! FYI we get caught like 80% of the time. Though it could be because we are in our car half the time listening to Halloween music, being silly and just having a good time. It’s still fun! We let each kid pick their best friends and we also do a few in our neighborhood to get the fun started. After you have been boo’ed your are then suppose to go out a boo 2 people! Keep it going till hopefully everyone around has been booed! The joy it brings all the families and children involved makes it all worth it! Especially when you don’t get caught! Then the kids are wondering who left them a gift. Plus, every time we get caught Zayden will say. “That was an epic fail” it cracks me up! 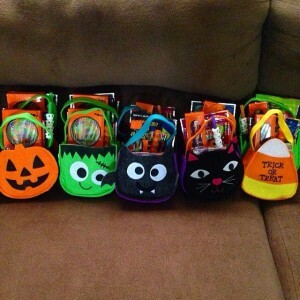 Let us know if you do boo bags or if you have been boo’ed before!